In 1995, when we first took hold of our historic Gastown brewpub location, we discovered that the building had a rare steam heat system. A remnant from forward thinkers of a century past. Our brewmaster had only read of steam powered brewing, but had never seen a functional steam brewery. These are very rare indeed. We ventured forth, experimented, and created a one-of-a-kind steam generated brewery. The only one in Canada. To our pleasure, we found our test brews to be distinctively fresh and flavourful. 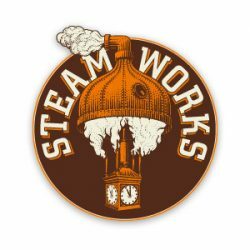 For nearly 20 years, beer aficionados have been migrating to our Steamworks Brewpub for a taste of these unconventional beers.